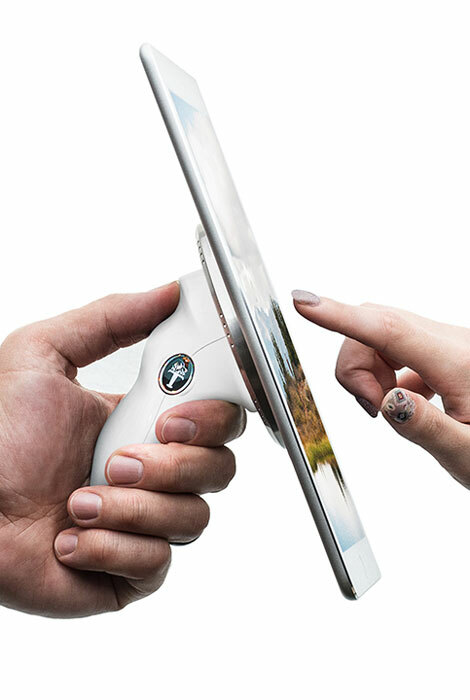 TORCHGRIP provides a stylish and secure solution to get the most from your tablet! 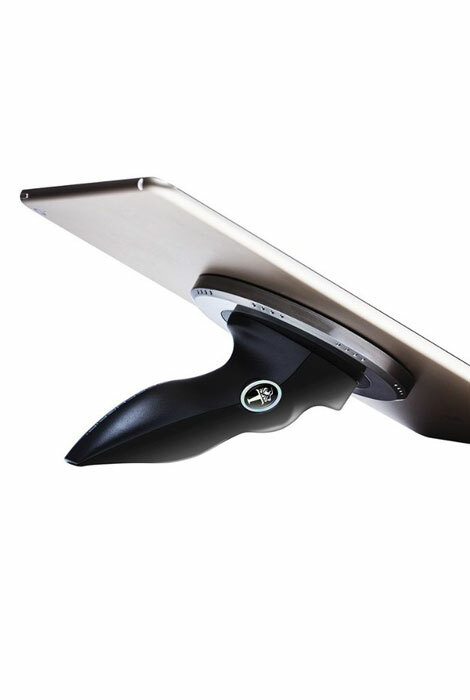 Its non-slip design gives you incredible ergonomic control of your tablet when you are on the move. 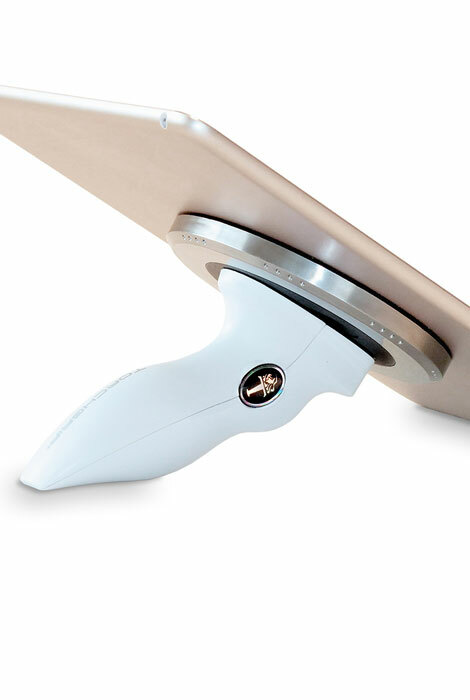 The grip was carefully designed to fit the human hand while providing you confidence to securely hold your tablet, allowing your hand to naturally "lock" around it. Lightweight polycarbonate and ABS polymer construction adds only ounces to your device, while also keeping tablets safe from bumps and falls. The versatile design also converts into a stand, rotating your tablet a full 360° for both portrait and landscape configurations. Interchangeable grip handles are easy to switch out in an instant and lock firmly into place, letting you change your style quickly and easily. 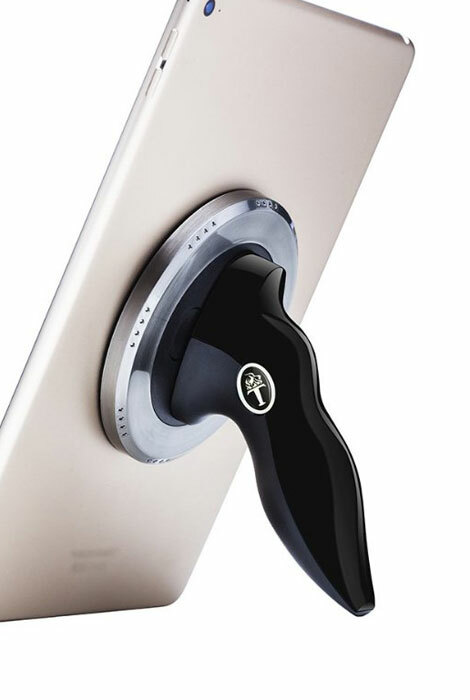 This convenient grip stand secures directly to any iPad, most other tablets and any non-silicone, non-fabric based tablet shell. Kit includes one base and one all grip-handle. 4 1/4” long x 1 1/4” wide x 6” high. 2.6 oz. 4 1/4” long x 1 1/4” wide x 6” high. I like the design and usage scenarios.